“My parents emigrated to France from the West African island of Cape Verde, then later moved to Brooklyn,” one student said. Then she rolled a set of dice, and moved her game piece — an image of a woman wearing a red jacket — forward three spaces. Her goal was to get across the board, to the affluent neighborhood. These students were playing a board game called Immigrants and Border Patrol. It was not created not by me, nor did professional game designers prototype it. The game was the result of a research project students conducted on issues facing illegal and undocumented immigrants. The designers were two 12-years-old students in my social studies class. While the information on the Fact Cards was based on real people, they were not actually undocumented immigrants — they arrived here legally, or were the children of immigrants. Nonetheless, the facts were adapted to be backstories, adding a layer of humanity to their game. The curriculum materials came from the Brooklyn Historical Society, and were originally part of a Moveable Game Jam I helped organize with Games for Change. 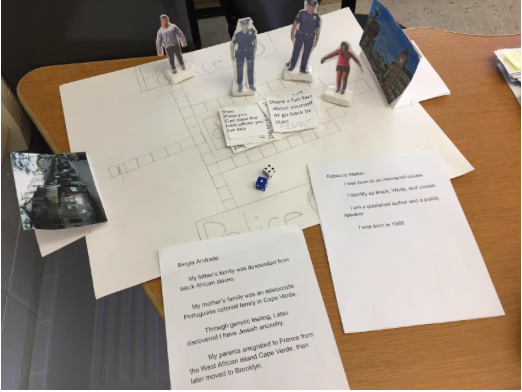 There is a growing list of serious games — themed on real-world issues and with strong narrative components — that can engage students in shared experiences and help create a sense of empathy. They also include time for reflection and discussion as the choices players make should resonate in an emotional response. One example I’ve introduced to my students is Mission US: City of Immigrants, which puts players in the role of a Russian-Jewish immigrant in New York City in 1907. Another is The Migrant Trail, which put students in the role of border patrol and undocumented immigrants. Both games can be read as a text, and can inspire thoughtful classroom discussions. Beyond games, I try to provide students with experiences they could not ordinarily have in real life. For example, they can use the low-cost virtual reality viewer Google Cardboard to watch Clouds Over Sidra, a short film told from the point of view of a young Syrian girl named Sidra. It tells her story of her days in a Jordanian refugee camp. Design thinking should start with empathy, and that’s where game-based learning meets project-based learning. After students play serious games, or experience virtual reality field trips, give them an opportunity to design their own. 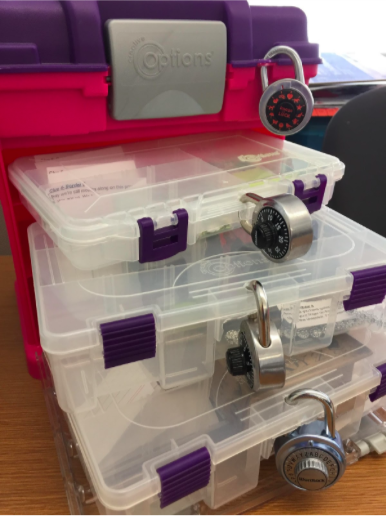 For example, one of my students created a breakout game using scrapbook boxes and several locks. 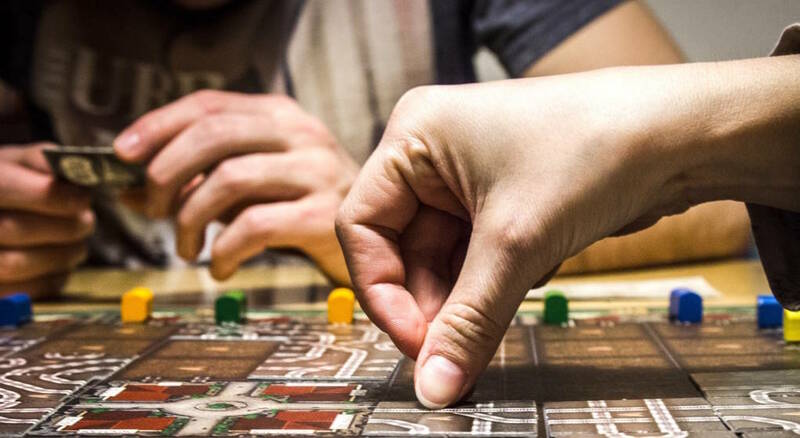 To play, a group works together cooperatively to solve a series of interesting puzzles. In her game, each puzzle is embodied as a border checkpoint. Players take on the role of Carrie, an immigrant, whose goal is to get into the United States to save her family from uncertain harm. The first clues involve her scrambling to the United States border. Other clues lead to police and a lawyer, which are represented by a rubber ink stamp. Players are instructed to fingerprint themselves, and then check for a clue embedded in the stamp itself! The final lock — an image lock — is the hardest challenge. It is, in gamer parlance, the “boss level.” Succeeding in this challenge results in the player winning. Inside that last box is the oath to become a United States citizen. This game’s creator, also 12 years old, referred to BreakoutEDU’s website for guidance. She then used empathy as her starting point for all of her puzzle challenges. To view her breakout script click here. In a good game, players make meaningful decisions based on the roles and identities they take on. Games — like film, text and other traditional media — can inspire class discussions. For more about empathy, check out Brené Brown’s animated video, in which she talks about the subtle differences between being empathetic and sympathetic. To find out more about serious games, check out the Games for Change website.